BRIGHTON, Ont. 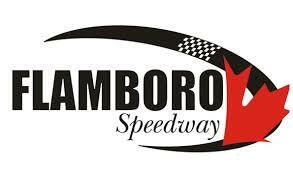 (June 16, 2018) – Dylan Westbrook ran down Mitch Brown in lapped traffic and passed him on lap 24 before leading the final two laps to secure victory in a non-stop Southern Ontario Sprints season opener at Brighton Speedway on Saturday night. Brown and Kyle Fraser started on the front row for the 25-lap feature with Brown jumping out to an early lead aboard his familiar blue No.10. Third-starting Jake Brown tried to take second from Fraser in the early laps, but stuck to third while seventh-starting Cory Turner raced forward to fourth over the opening two laps and Westbrook followed closely behind into the top-five. By lap five, Mitch Brown had already found his way into lapped traffic and had opened a 10 car-length lead over Fraser. As Brown navigated the slower cars, Turner tracked down Fraser and made the pass for second on lap 10 with Westbrook following him through the open hole to take third. At the halfway mark, Mitch Brown held a half straightaway lead over Turner and Westbrook, who were nose to tail for the second spot. Brown worked the bottom groove of the speedway whenever he could in traffic while Turner and Westbrook preferred the top against a very thin cushion. On lap 17, Westbrook’s momentum in the outside lane propelled him to second in turn two just as Turner was forced to let off the gas to avoid collision with a slower car. Two laps later, Westbrook had erased Brown’s lead and on lap 19 the two drivers were side-by-side for the race lead with a pair of lapped cars battling in the same fashion just in front. Westbrook took the outside lane to the lead in turn two, but Brown threaded the needle back through the lapped cars to retain the point at the start-finish line. With two laps remaining, Westbrook was back in the outside lane and had the preferred track position as Brown was forced behind a lapped car and surrendered the lead on the backstretch. With less than two laps to go, Brown ran out of time to rebuild his momentum for a final run at Westbrook and settled for second. Cory Turner earned a third-place finish to round out the podium. Ryan Turner made some late passes to earn a fourth-place finish while former series champion Chris Jones completed the top-five. Jake Brown, Fraser, Steve Lyons, Warren Mahoney and Jamie Turner made-up the top-10. Mitch Brown, Steve Lyons and Kyle Fraser won qualifying heat races while Mitch Brown also picked up the Dash for Cash win presented by Docks R Us and 4 Points Sheraton hotel. The Southern Ontario Sprints continue their 2018 season next Saturday, June 23 at Merrittville Speedway in Thorold, Ont. Race time is 7:00pm. For additional event information, visit www.merrittvillespeedway.com.